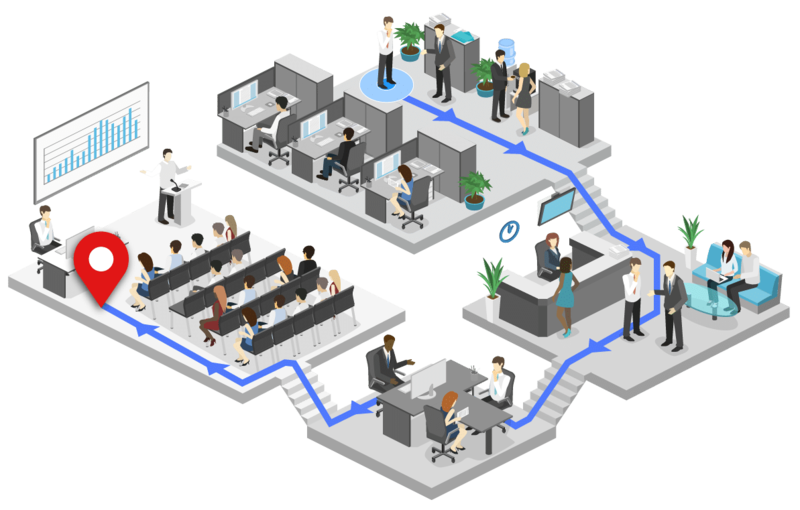 Our adaptable Indoor Positioning System (IPS) delivers precise location of every connected device to an observed centralized system. Our technology supports all hardware vendors, and has the ability to mix vendors within the same deployment. 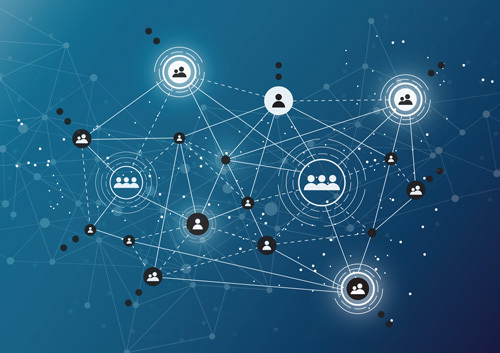 The capacity to mix any combination of inputs provides clients the possibility to cultivate a personalized platform for their use case that fits with any already existing system. One method of achieving indoor position is with a trilateration algorithm in conjunction with BLE beacons and smart phones. SPREO can also attain location with the application of third party systems such as Mist, Centrak, and HID. SPREO can also use Kontact IO gateways and tags for asset tracking. Furthermore, SPREO continuously fine-tunes the deployment of our hardware in order to minimize upkeep and optimize costs for the client. SPREO’s proprietary indoor positioning accurately and consistently tracks the indoor position of devices and assets. 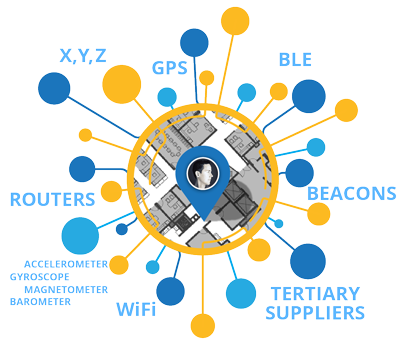 SPREO’s indoor positioning system utilizes any combination of Bluetooth beacons (BLE), Wi-Fi, and third party software in conjunction with our trilateration algorithm to deliver a platform through which SPREO’s clients provide their users Real Time Location Services (RTLS). With SPREO’s indoor positioning system, clients can interpret a class of location-informed user analytics that are otherwise unavailable. The efficacy and flexibility of SPREO’s Indoor Positioning System has established SPREO as a leader within the (RTLS) industry. Seamless transitions from outdoor GPS to indoor GPS. 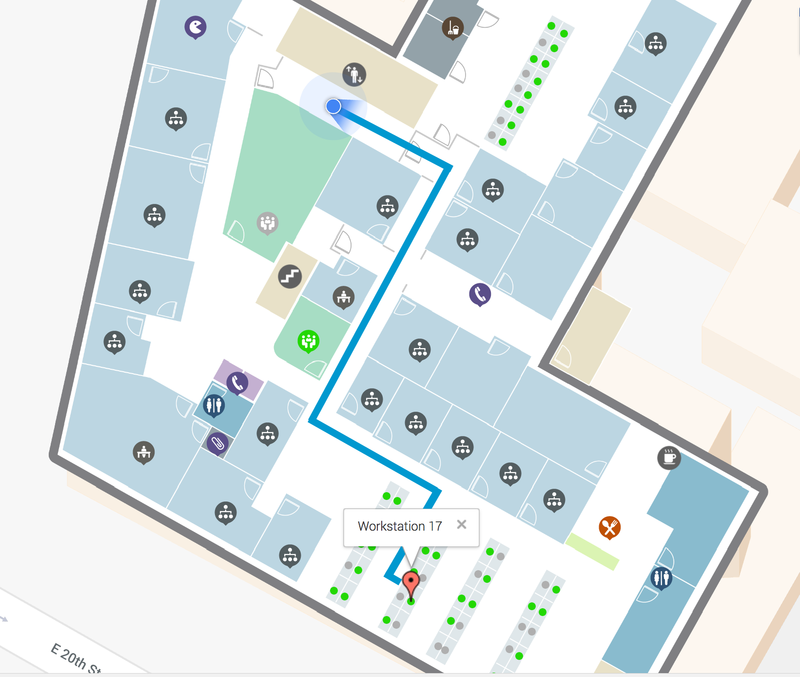 Wayfinding and navigation in complicated buildings and campuses is made simple with the use of IPS as it allows users to navigate between buildings and different floor levels. Our proprietary BLE beacon solution that locates user with their smartphones. Within this approach we provide two methods according to your needs: On-demand and Real-time. "Other than SPREO, the others were unable to prove the ability to configure a very large space like a mall, to do it quickly and accurately, make it operationally stable and feasible, make it work for iPhone and Android, meet a number of other key requirements and most importantly enable a great consumer experience (no bouncing of the ‘Here I Am Dot,’ accurate floor switching, quick response if internet connection lost or spotty, etc)." 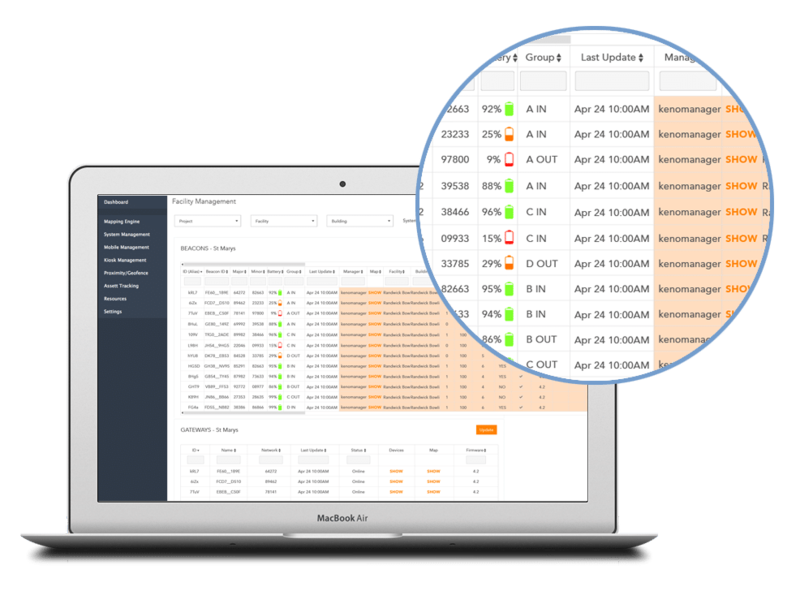 SPREO offers a central cloud-based management structure that allows ongoing management and maintenance to every device’s location across a facility. Companies can then easily oversee/manage battery statuses of battery-based BLE devices, the coverage area, and more. With this data, facility managers can optimize their maintenance efforts and make informed decisions regarding their next hardware purchases.